Are you looking for a midsize sedan or a compact car? 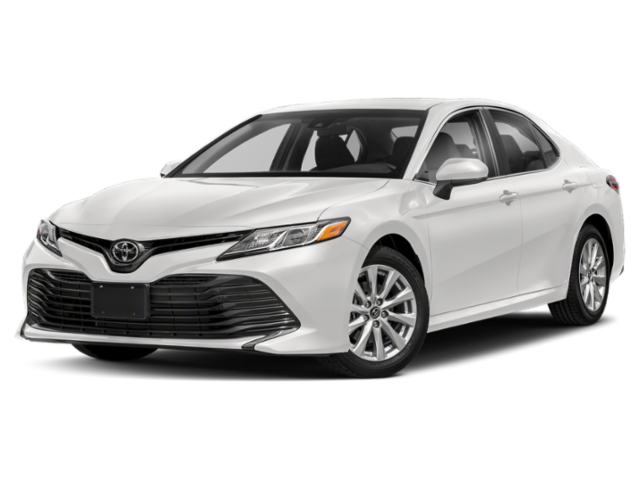 That consideration is the starting point, but there’s a lot more to any 2019 Toyota Camry vs. Corolla comparison than that. Keep reading to get an idea of which will be best for your Bradenton commute. Passenger Volume: Enjoy more spacious seating with a maximum of 100.4 cubic feet of passenger volume inside the 2019 Toyota Camry. The Toyota Corolla’s quarters are a little tighter with a maximum 97.5 cubic feet of passenger volume. Cargo Space: Whether heading out on a road trip or running errands in Venice, you can carry more inside the trunk of the Camry with a maximum of 15.1 cubic feet of cargo space compared to the 13 cubic feet maximum of the Corolla. 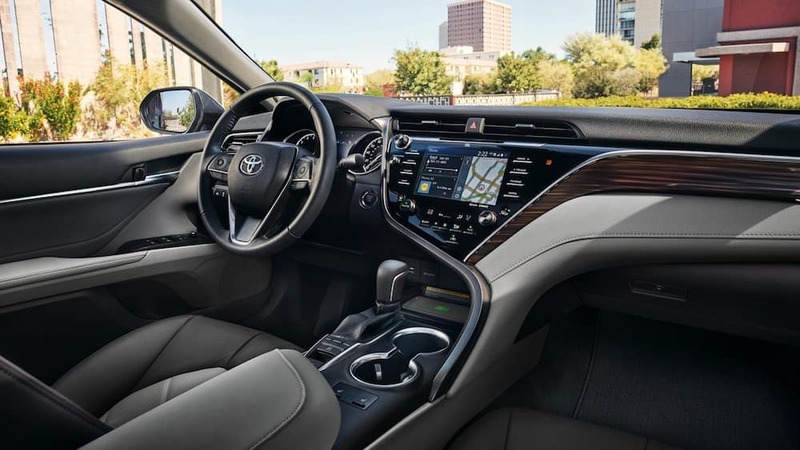 In addition to the ample space of the Camry, it comes with a better-equipped interior with a standard 7-inch touchscreen, layered wood interior trim, and interior chrome door handles. The Corolla features a 6.1-inch touchscreen. Maximum Fuel Efficiency: The Camry delivers an EPA estimated maximum combined city/highway mpg of 34 mpg* from a 2.5L 4-Cylinder engine and while the Corolla falls just short with an EPA estimated 32 combined city/highway mpg* from a 1.8L 4-Cylinder engine. Maximum Power: Enjoy an impressive 301 hp and 267 lb-ft of torque on the Camry thanks to a powerful 3.5L V6 engine on the XSE trim. 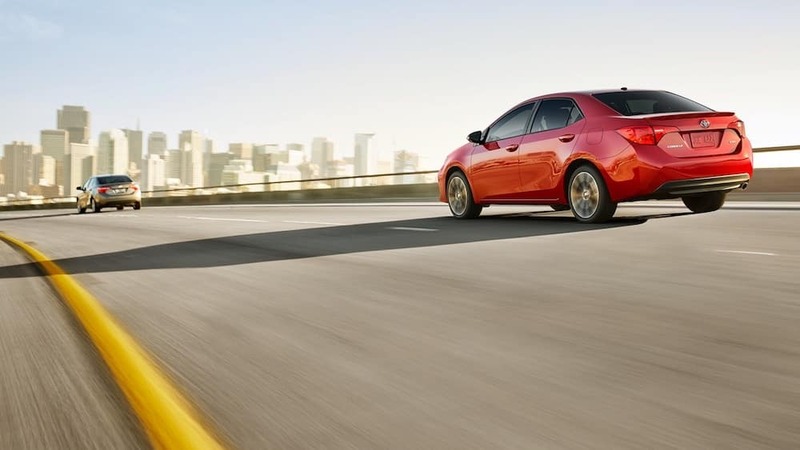 The Corolla tops out at 140 hp and 126 lb-ft of torque created by a 1.8L 4-Cylinder engine. On top of the exceptional performance, the Camry also delivers three engine options, including a hybrid, while the Corolla only offers up one. If you still aren’t sure if the Camry or Corolla is right for you, consider your needs and budget. Drivers looking for more space or a more well-appointed interior, the Camry proves a superior choice. 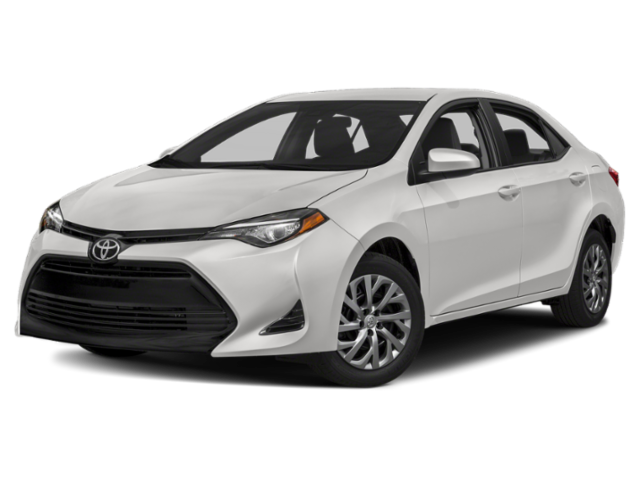 If you are in need of a more budget-friendly, compact option, the Corolla is fitting. 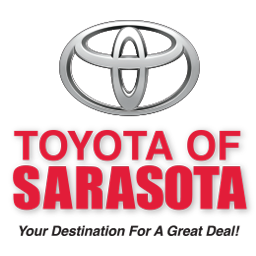 Both options are available for a test drive today at Peterson Toyota of Sarasota. Contact us to learn more!